The decision to move to a hobby farm is not to be made lightly. There are many considerations that must be thought about before taking the plunge and buying a hobby farm. If you’re thinking of buying a hobby farm, or making a tree change, these are some of the best things we love about living on the Rock Farm. There is something incredibly peaceful about waking up to the sounds of nature, not traffic. Whether it be the chatter of birds, the breeze in the trees, or the sound of silence, we take pleasure in these sounds every day. Our view is of rolling hills, not roads and apartments. The air we breathe is clear, and at night the stars blaze in the sky. Often on a full moon, we all walk outside and stand captured by the beauty of the night sky and the moon’s majestic rising. I find there is a peace that settles on me after I come home after a long day at work. A hobby farm should be a place that recharges your soul… each and every day. Being on a hobby farm, it is easy to find excuses to get outside. Other than the obvious work tending the vegetable gardens, or harvesting firewood, there is plenty of scope to have fun too. The Little Helper loves nothing more than kicking about with his best four legged friend. Together the boy’s have a wonderful time building forts, tree houses or even helping me fix fences! I find it much more rewarding to spend some time and effort doing something around the hobby farm, than to spend my money on fancy gym membership. The physical activity keeps me healthy, and I feel good knowing I have contributed something to the farm or the family. 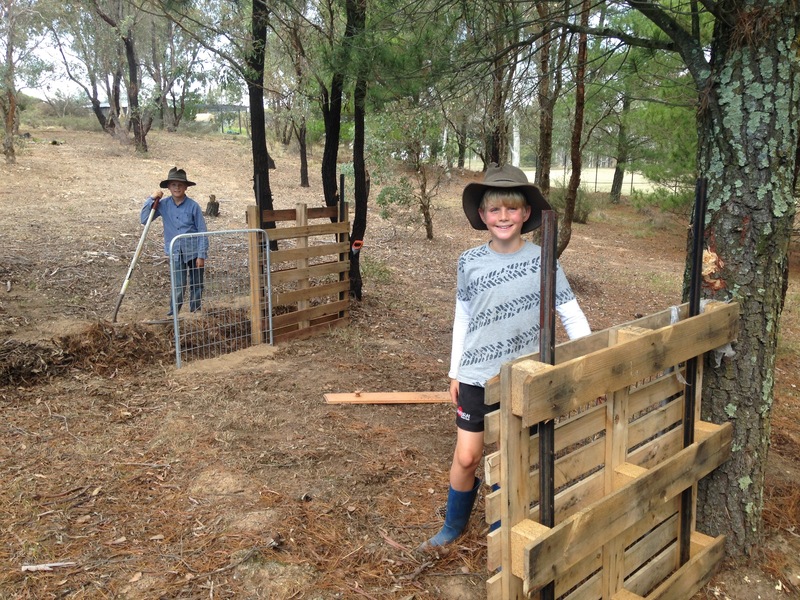 There is nothing nicer than going for a walk around the property along the boundary fence. It is good exercise, there is no traffic to watch out for, and often you have some friends follow along too! I’ve alluded to this earlier, but the hobby farm gives so much to the kids. Both our boys love living on the farm. 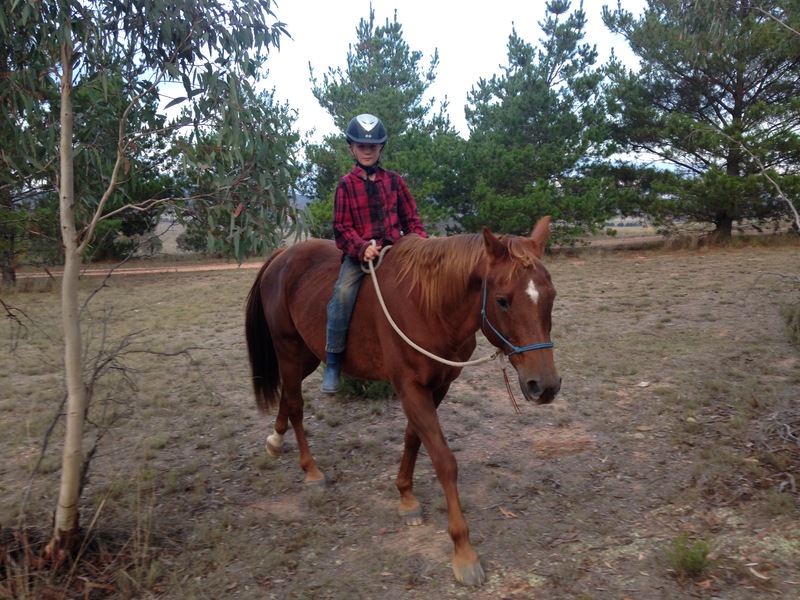 For them it is one big adventure playground, but please don’t tell them they are learning far more than just how to ride horses or motorbikes. Who said checking the boundary fence was boring! They are learning all kids of lessons. 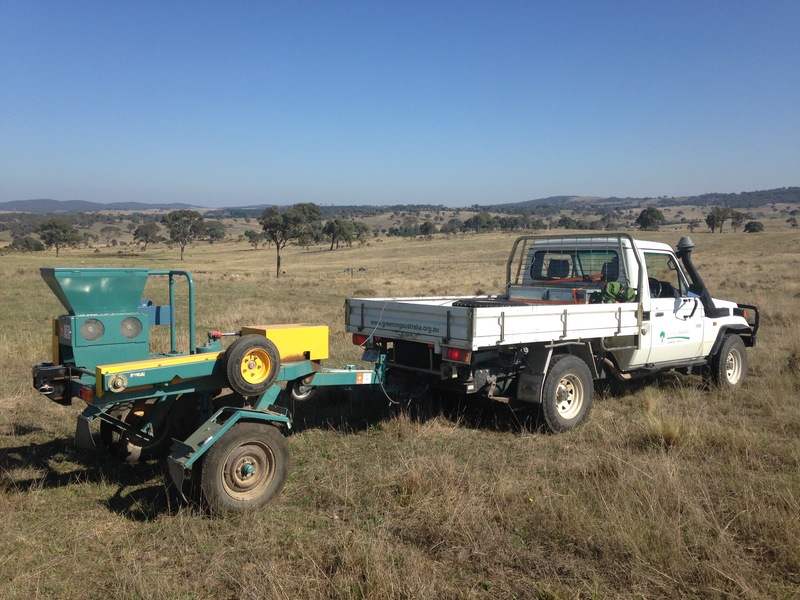 Lessons about how to fix fences, repair small engines, care for animals, care for the land, the differences between weeds and grasses, and the list goes on. By the age of nine, they were both driving a car. They can check the oil, and change a tyre. More importantly, they are learning responsibility. They have to check and feed the chooks each day. The horses need to be fed, and rugged in winter. They know that we volunteer in our community and can’t wait until they’re old enough to join the Rural Fire Service. In the meantime they come along and help set up or pack up for fundraising functions. Their little chores become foundations for a responsible life. Our hobby farm allows us enormous choice. Whilst we still have council rules to comply with, we have a lot more freedom as to what we can do on our place. We can run just about whatever kind of stock we want. If we want to paint our house purple, or make a track for the kid’s motorbike, we can. Watch TV, or go for a ride…. tough choice! If we want to run a sprinkler on a 40 degree day, we can… it is our water. That said, we are also responsible for the consequences. If we run out of water, then we will have to buy some. But I am much happier being in control of our destiny, than being dictated to by some council. 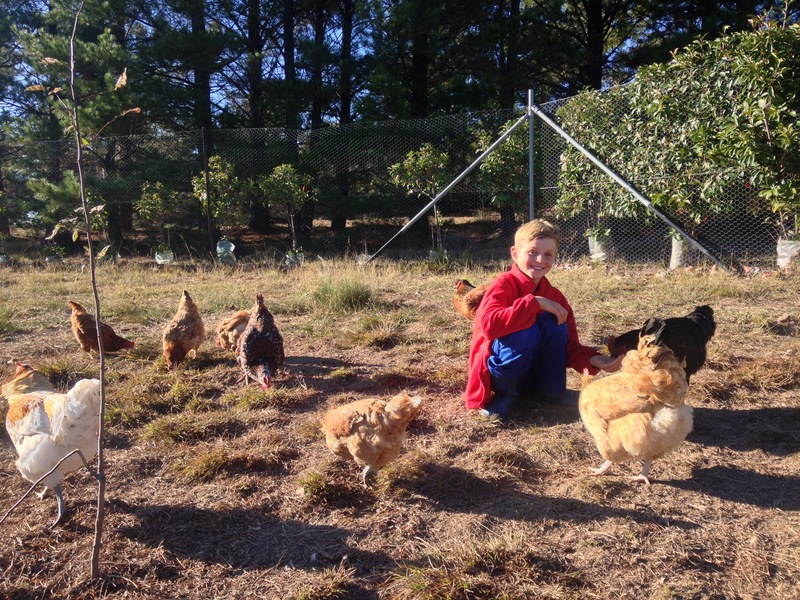 Whilst our little hobby farm isn’t self sufficient, it allows us to explore healthy food choices with our children. We try to encourage our children to tend their their own vegetable beds. Nothing teaches them the value of food more than trying to grow some vegetables themselves. We also can explore ethical raising of animals for slaughter with our children. I think it is extremely important that we understand our food supply chain. Our children are well aware that we have a responsibility to our sheep for their welfare. We are comfortable knowing that our sheep have a wonderful quality of life, and that their slaughter will be humane. 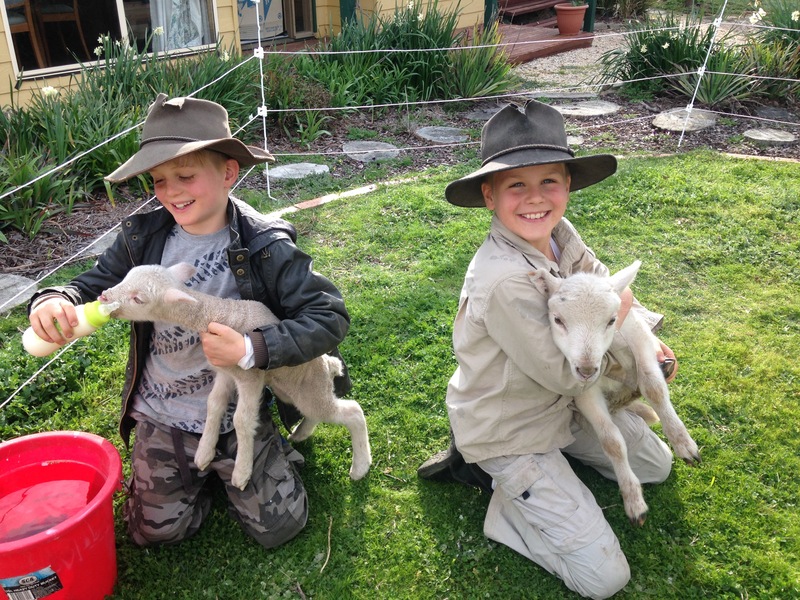 Poddy lambs – one will grow to make jumpers… the other will taste delicious. Both will have a great life. One of the most exciting parts of owning a hobby farm is the sense of responsibility we have to future generations . Instead of watching the TV and seeing the consequences of years of misunderstanding and neglect of the land, we see ourselves as part of the solution. Our land was cleared and then heavily grazed in its distant past. We are excited to be planting thousands of trees in spring to start returning health to the soil,. We also will be trying to graze a small number of sheep (and the odd horse or two) in a sustainable way. We believe that we can strike a balance between the need to conserve nature and our requirements to feed our selves. Our hobby farm abounds with native plants and animals. In spring, a walk around our paddocks is a stroll of discovery, with so many native plants bursting into colour. We have kangaroos, walaroos a plenty. 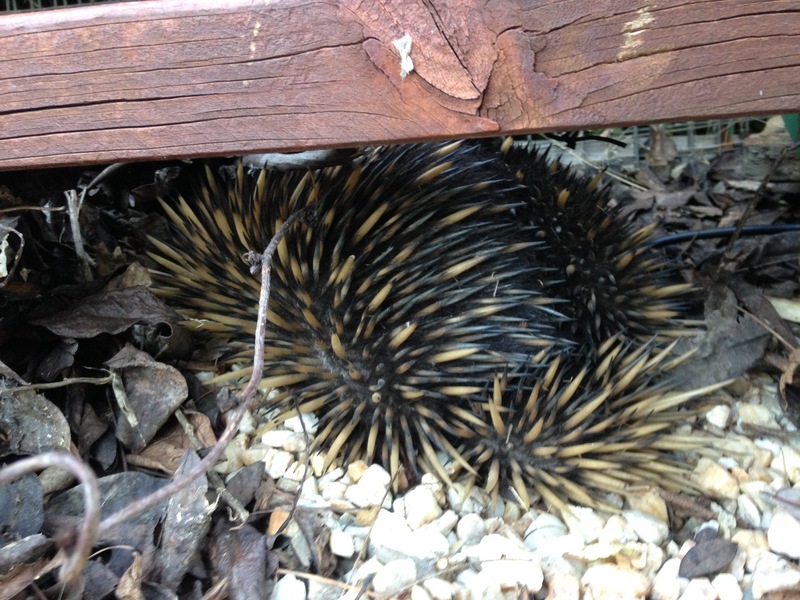 In the poa tussocks, we often find shingle back lizards, marsupial mice and the odd echidna. Our hobby farm is a teeming hot-spot of bio diversity, but that is not to say we can’t do better. When harvesting firewood, I generally cut green branches off living trees. I leave a part of the branch on the ground to become a log for beetles and other animals to live in. The leafy branches are left to mulch and return nutrients and organic matter to the soil. Over time this will help improve the quality of our soil, but importantly increase the biodiversity on our place by providing habitat for the insects and small animals that underpin it all. It’s a funny thing, but I think the further apart people live, the stronger the community is. We might not be able to see our neighbours, but our community is strong. We are part of our local school, Rural Fire Service, and Scout Group communities. Our children are growing up to be responsible members of our society. It is wonderful to share this journey with them too. Every day our choice rewards us with an immense feeling of satisfaction, but it does have some minor drawbacks. I will talk about some of these in my next blog.